Etta Fann was raised in the Rice area north of Pinckneyville. She attend St. Mary Magdalen Catholic School and PCHS. She is a member of St. Bruno Church. She has been married to Danny Fann for 38 years and they live east of Pinckneyville. She worked at First National Bank in Pinckneyville as a bookkeeper for 7 ½ years before quitting to stay at home with her children. 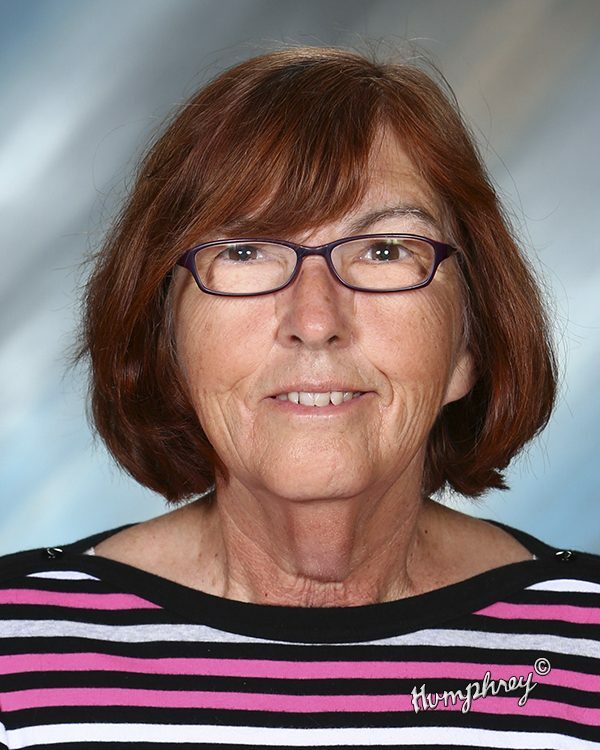 After 7 ½ years she returned to work as a secretary at St. Bruno School. Danny and Etta have two children, both of which attended St. Bruno School. Their daughter Erin is married to Adam Prest. They are both CPA’s and work at Anders CPAs & Advisors in St. Louis. Their son, Todd, works at Peabody Gateway Mine in Coulterville. Etta enjoys spending time with friends and family, especially her grandson, Ryan. Etta says that it is great to see so many former St. Bruno students sending their children to the same school.